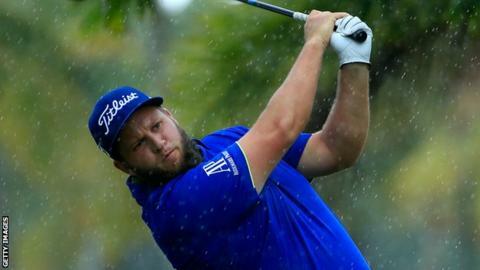 England's Andrew Johnston moved two shots off the lead at the Puerto Rico Open after a six-under-par third round of 66. The 28-year-old carded six birdies and did not drop a shot as he moved to 13 under at Coco Beach. American Chris Stroud leads on 15 under in a field that sees the top 25 players separated by just five strokes. Johnston, ranked 100 in the world, has one victory on the European Tour but is yet to win a PGA Tour title.